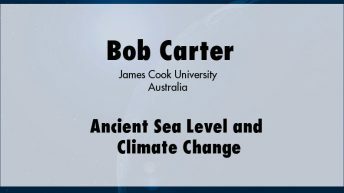 Bob Carter is a marine geologist and environmental scientist with 40 years professional experience. He has held academic positions at Otago University and the University of Adelaide and is currently a research professor at James Cook University (Queensland), where he was head of the School of Earth Sciences between 1981 and 1999. He is a former director of the Australian Office for the Ocean Drilling Program, the premier, world-best-practice research program for environmental and earth sciences. Carter has served on many national and international research committees, including the Australian Research Council. 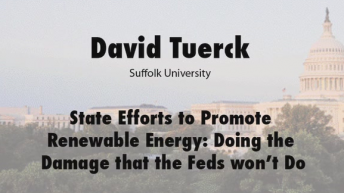 He is a former chairman of the Marine Science and Technologies Award Committee and the National Committee on Earth Sciences. He is an overseas honorary fellow of the Royal Society of New Zealand. 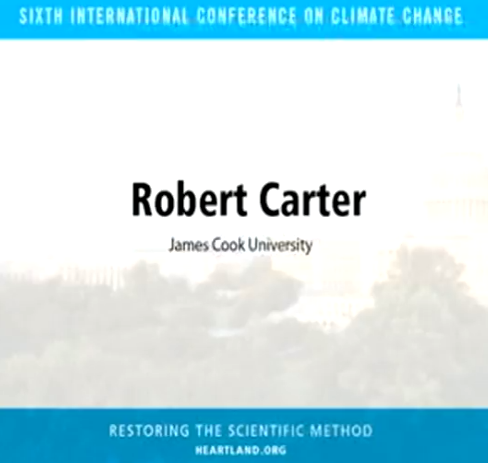 Carter’s current research on climate change, sea-level change, and stratigraphy is based on field studies of Cenozoic sediments (last 65 million years) from the Southwest Pacific region, especially the Great Barrier Reef and New Zealand, and includes the analysis of marine sediment cores collected during Ocean Drilling Program Leg 181 in the South Pacific Ocean east of New Zealand. 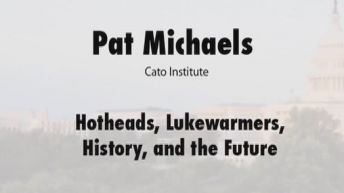 Click here for more information and presentations by Robert Carter.